Looking for a fun and unusual advertising campaign for his merchant processing services company, First Payment Services, Brian Ansley approached Westwood Avenue to get the job done. 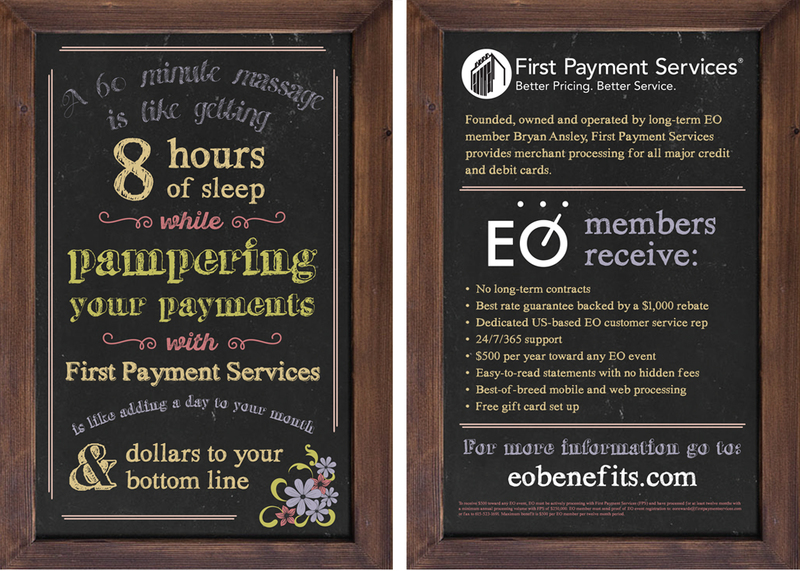 Knowing that there’s nothing more luxurious than time, we developed the “pampering your payments” campaign. Westwood’s graphic design team set the spa-like tone for the campaign with a clear, detailed leave-behind marketing card. 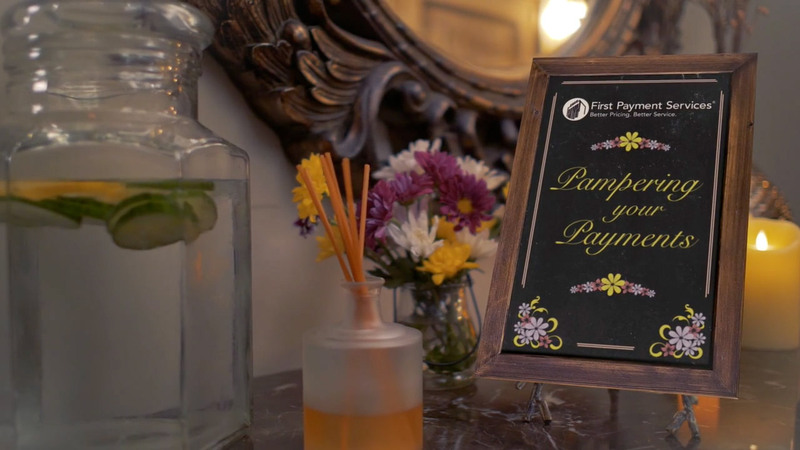 Our fun-loving team took the “pampering your payments” to the next level with two spa-themed videos, soothing music, and the dulcet voice over stylings of our our very own Tom Woodard.